Note, however, that there are no two or three kayaks that work exactly the same. In that regard, these are the important factors to keep in mind. That's pretty much why we compiled this review for you. No matter your budget constraints, the following guide will help you make an informed bet. Just a quick look and you're good to go. 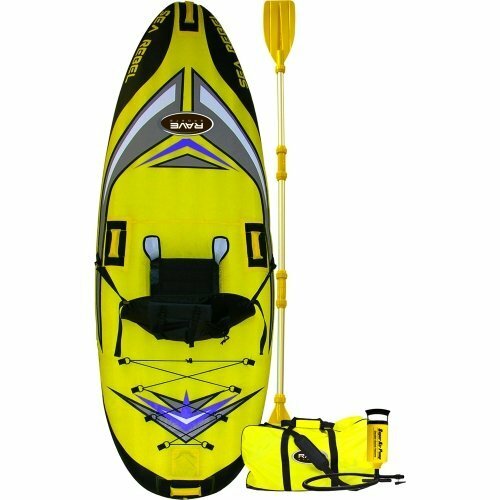 If you're shopping for a competitively-priced kayak, then you've got to appreciate what the Bali 10 SS has to offer. To begin with, it comes with well-made tracks and paddles which provide you with a generous storage capacity and stability. Besides that, it comes with an open cockpit which makes it easy to board and disembark. What's more? You also get a large and comfortable seating area. Actually, this seating area comes complete with adjustable foot braces, paddle holders, and protective thigh pads. That's pretty much all you need to enjoy a whole day's yakking trip. If you're looking for a two-person kayak, the Sea Eagle 330 is likely to stun you with what it has to offer. Not only is it good looking but also presents you with a generous weight capacity. Its surface is made from a puncture-resistant, K-80 Polykrylar hull material. This design makes it one of the toughest yaks for the money. Best of all, because of its bouncy nature, we found it to be quite useful especially in rivers with debris. 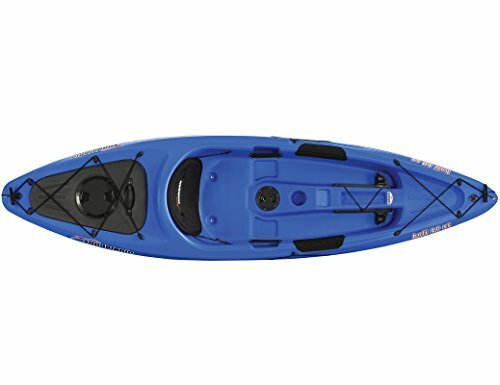 So, ultimately, this is a perfect kayak for beginners. And best of all, you get a 3-year warranty and a fully-fledged kit. This is the second inflatable to have made it to this list. Indeed, we're proud to see that it's pretty well-made. Therefore, if you're looking for the best under 100 kayak, this is certainly something worth looking at. The Explorer particularly boasts an adjustable inflatable seat. This seat has a comfortable backrest and is stationed within a comfortable and spacious cockpit. The yak's yellow color makes it highly visible which also plays a role in enhancing your safety. 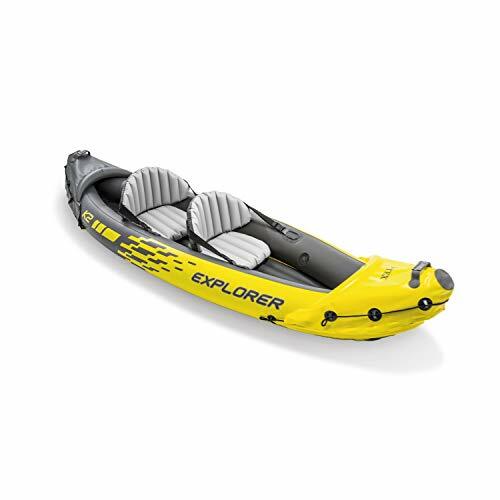 However, there's no doubt that the Explorer is designed for small water bodies. It also has a limited weight capacity of 400 pounds which means it may not be ideal for two heavy-weight users. 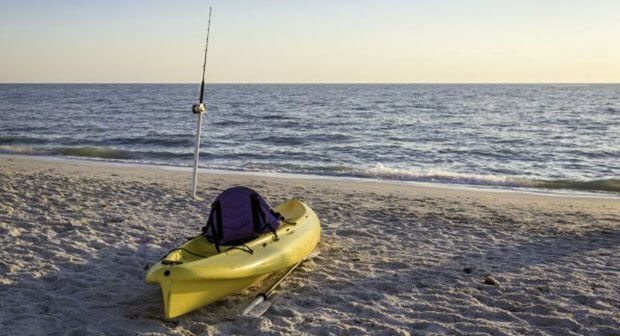 What if you could find an affordably priced one-person kayak? 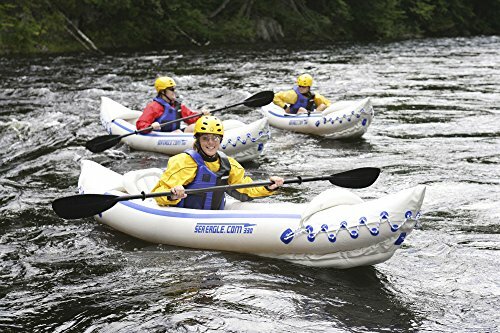 This inflatable yak is recommended for streams, rivers, and lakes. Most importantly, it has an adjustable backrest making it ideal even for those planning to fish, all day long. Most importantly, it comes with a combination of convenience features. These include a bottle holder, a dry bag and a comfortable sling seat. And to make sure there's never a dull day in your kayaking journeys, this unit comes with a handy kit. The kit comprises a paddle, hand pump, and carry bag. And for your enhanced safety, the unit is made from a tamper-proof 420D nylon cover. Further, it boasts a 24 gauge PVC bladder that you can take, everywhere you may go. The Quikpak K1 from Sevylor is probably one of the best-made cheap kayaks on the market. But even with that said, the yak has its own fair share of merits and demerits. To begin with, the K1 weighs a paltry 20 pounds meaning you can easily take it with you everywhere you may go. 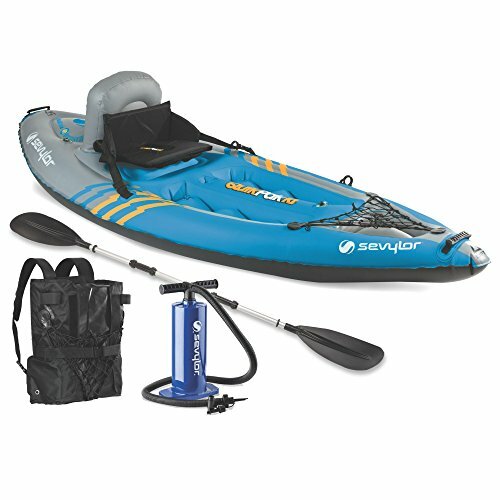 And best of all, this inflatable kayak provides you with a 5-minute setup. That's a big plus especially for anyone looking to spend as much time on the water as possible. And to top it all up, it comes with an easy-to-carry backpack system which conveniently turns into the seat. Its bottom is made from a high-quality tarpaulin which is protective and capable of warding off punctures. And that further complements the multiple air chamber design for further security. To help you make an informed bet, here's a run-down of essential factors to always keep in mind. No matter how cheap a watercraft is, your safety should always come first. So, be on the lookout for important safety features such as a tough, puncture-proof material. It should also be easily visible and stable for long-term use. You don't want to settle for less. Look for a kayak that's comfortable. Ideally, it should come with a seat (with backrest), a generous cockpit, pad holders, and even cup holders. Basically, the more add-ons you get, the better. It's always a good idea to go for a kayak that's made by a company that's ready to stand behind the quality of their products. For that reason, always be on the lookout for the warranty terms provided. The longer the warranty period, the better. If you don't mind digging deeper into your pockets, the SunDolphin Bali 10 SS would be the best kayak to settle for. It has a decent storage compartment, and a comfortable seating area. On a limited budget? We'd suggest going with the Intex Explorer K2 which is brightly colored for enhanced visibility. It also has a decent weight capacity although we think its capacity is a bit too low for two heavy-weight adults. It takes a keen eye to tell the difference between an average kayak and a superior one. In that regard, it's our hope that the tidbits shared above will help you make an informed choice. And ultimately, we look forward to you taking the waters with an affordably priced watercraft.